A reporter at the press conference noted that China has indicated it will continue purchasing Iranian oil, and might even increase its imports. 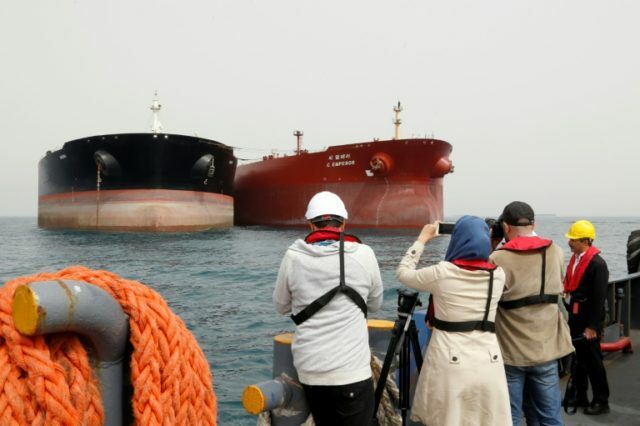 The Wall Street Journal noted on Thursday that while China imports over a quarter of Iran’s oil, friendlier nations such as India and South Korea are also top customers. India and South Korea are among the nations that have already begun scaling back Iranian oil purchases in preparation for the November sanctions, which can only be averted in the seemingly unlikely event Tehran satisfies a list of 12 conditions laid out by U.S. Secretary of State Mike Pompeo in May. The Iran Action Group headed by Brian Hook is tasked with coordinating Iran policy and keeping U.S. allies on board, an objective likely to become increasingly difficult as oil sanctions fall into place.